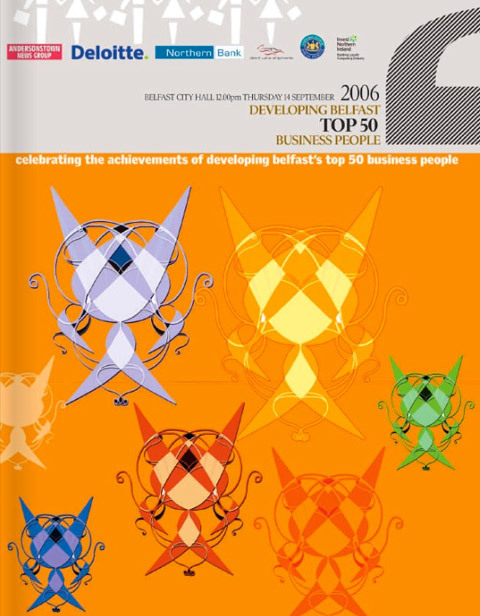 Fifty of Belfast’s top business people were honoured last Thursday at a reception in the City Hall. Guest speaker at the event, organised by the Andersonstown News Group and backed by main sponsor Deloitte and the Northern Bank, was former head of Enterprise Ireland and the man credited with the creation of the ‘Celtic Tiger’, Pádraic White. Mr White praised the winners – all of whom are based in developing areas of Belfast, hail from those areas or have made a major commitment to them – during the event, which saw 50 business people from both sides of the community come together to celebrate their success. Delighted by the success of the event, Andersonstown News M.D. Máirtín Ó Muilleoir said, “All those being honoured today are flying the flag for a new Belfast which is prosperous, peaceful and diverse. “Urban entrepreneurs are helping to redevelop Belfast as one of Europe’s most vibrant cities,” added the Belfast Regional Manager of Northern Bank, Colin Dundas. “It is therefore vital that we continue to create an environment where this type of business activity is encouraged to flourish,” he said. Adding an element of surprise to the event, a special presentation was also made to two of the 50 who hail from opposite sides of the Falls Road peaceline: Jim Carvill of Wilton Healthcare on the Shankill and Seán Mitchell of Mitchell-Kane Communications on the Falls. Both entrepreneurs are deeply involved in their communities. Jim is a founder of the Argyle Business Centre on the Shankill and serves on the newly-established West Belfast and Greater Shankill Enterprise Centre, while Seán is one of the driving forces behind plans for a Gaeltacht Quarter in West Belfast. The other honorees came from all parts of the city. Represented were giants of industry, developers, women entrepreneurs, representatives of ethnic minorities, social economy businesses, start-ups and veteran businesses.